The Naza have been officially counted in China as part of the Yi nationality. 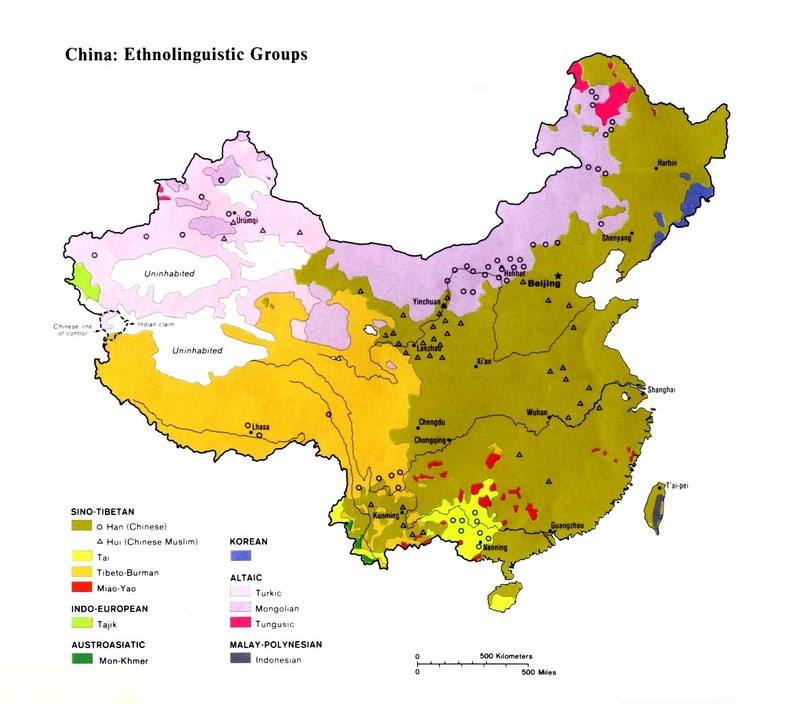 They live in the same district as the Liude people yet retain a separate ethnicity from the Liude and all other Yi groups in China. The Naza are also known as the Nazaren and Nazasu. 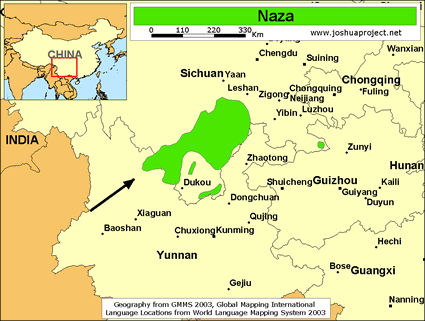 The Naza were formerly involved in the slave system that dominated people's lives in the northern Yunnan-southern Sichuan area. The history of the tribes in this region also featured regular warfare and conflict. Larger groups, such as the Xiaoliangshan Nosu, have used their population size to oppress and enslave smaller tribes, often raiding their villages and carrying away men, beasts, and goods. The Naza today lead relatively quiet lives in the mountains. They raise pigs, goats, and poultry as well as grow rice and vegetables. Until the 1970s few people knew of the Naza. Their village is still accessible by foot only. Polytheism, mixed with ancestor worship, is the main religious belief of the Naza. They worship the sun, moon, and stars, as well as a host of local spirits and deities. One missionary in the early 1900s, commenting on the spiritual beliefs of the Yi in a different area, wrote, "After the ingathering of buckwheat, when the crop is stacked on the threshing floor and the work of threshing is about to begin, the simple formula 'Thank you Je-so-mo' is pronounced. Je-so-mo seems to be a spirit who controls the crops; whether good or evil is not easy to determine. Mo is the generic name for 'sage' or 'spirit'. Je-so is so like the name Je-su, which the Chinese and Miao use for Jesus, that some of the Yi wished to use Je-so for the name of our Savior; but to this the missionaries very wisely did not consent, as they did not know who, or what sort of a person, Je-somo was. Je-so-mo is not God, for when the Nosu wish to speak of God they use the word Se, which means 'Master' or 'Lord'." 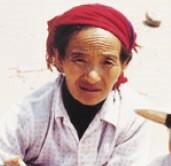 The Naza are an unreached and largely unevangelized people group. No more than a few of their population have ever received an intelligible gospel witness. Yongsheng County is almost completely devoid of Christian presence, except for a few Han Chinese and possibly Lisu believers. View Naza in all countries. Location in Country: More than 1,300 people of the Naza ethnic group inhabits just one village in the northern part of Yunnan Province in southern China. They live in the Nazi Village within the Liude Community, in the Liude District of Yongsheng County. Yongsheng is a mountainous region bordered to the north by Sichuan Province.